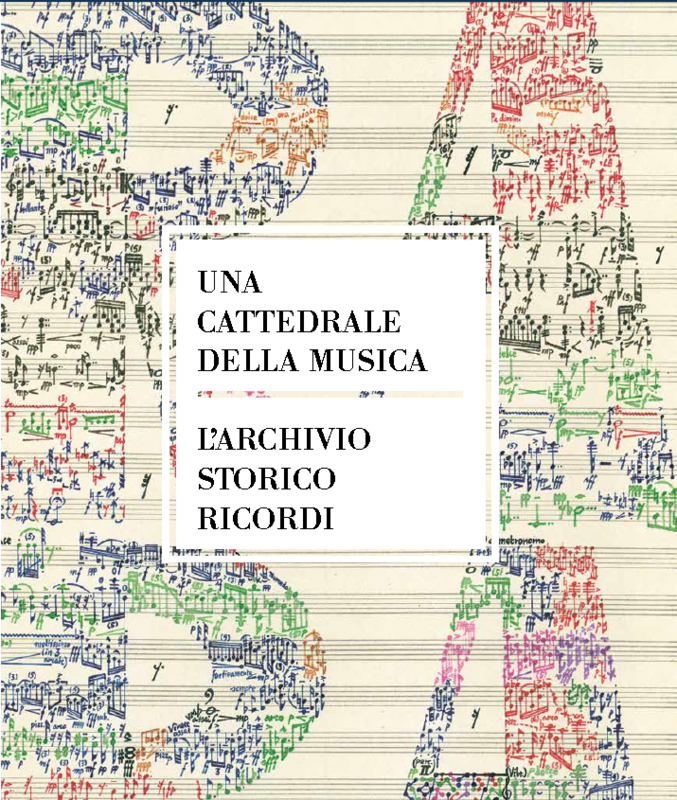 The Archivio Storico Ricordi shows all its value in the book Una cattedrale della musica, coming out on 29th November, imprint by Corraini Edizioni. Collection of inestimable value for the music history in Italy and Europe, in particular for the Opera of the 18th and 19th Centuries, but also for the world of theatre, fashion and art graphic, the Archive was defined by Luciano Berio “a cathedral of the music, unique in the world”. The volume by various authors, divided in three parts, alternates texts and images. It starts with the history of the publish house Ricordi with its main milestones with the characters who drove it during the years, from the foundation in 1808 to the statement as international reference point for the music publishing. The second part is dedicated to the Archive and its documents: thousand of music scores, photos, prints, drawings, poster and letters. The material is a testimony to understand the Opera genre as aesthetic and socio-cultural phenomenon. In the Appendix, in the end, an overview of the collections of the Archive and an index of the names to simplify the consultation.